Dell has updated its 13th-generation PowerEdge family by adding a model geared to cope with high performance computing and big data. The new PowerEdge C6320 combines Intel Xeon E5-2600 v3 server chips and up to 72TB of local storage to bring unparalleled levels of performance that is up to twice the level of its predecessor (the C6220) and ideal for HPC loads. Intel's new Xeon chips were released last year and support up to 18 cores per socket, with the new PowerEdge model able to offer up to 144 cores inside each 2U chassis, 512GB of memory per node and the aforementioned 72TB of internal storage. Further to that, the PowerEdge C6320 comes with Dell's latest Remote Access Controller (iDRAC8), and when the workloads require even more power, the PowerEdge C6320 can be paired with the PowerEdge C4130, according to a report from V3. 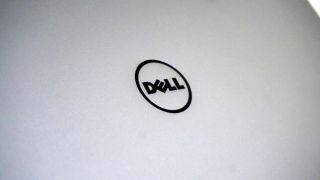 Dell has already been using the PowerEdge C6320 to build Comet, a petascale supercomputer operated by the San Diego Supercomputer Center that is made up of seven racks of PowerEdge systems providing 1,944 nodes or 46,656 cores. The PowerEdge C6320 could also find a home in Dell hardware solutions elsewhere, and there's currently no indication on a release date or price for the new server.